The perfect treat to pop when you're looking for that burst of flavor and fun! Most Mallow Bites flavors are fat free too! So, have some fun with your yum and try all our varieties! Hey coconut lovers! 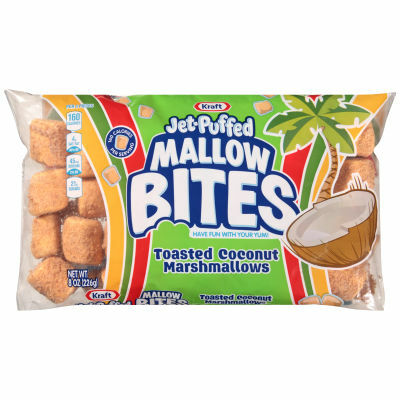 Meet your new best friends--marshmallows covered with toasted coconut flakes. Try them right out of the bag. Skewer a bunch and dip 'em in chocolate sauce. Pour out in a bowl for the family to snack on. Add them to trail mix--it's up to you!